AlzeCure Pharma has a network of leading scientific advisors within neurodegenerative disorders. They assist AlzeCure with their specialist knowledge and give input to both preclinical and clinical studies. Professor at the Karolinska Institutet in Stockholm and one of the worlds most cited scientist within neurodegenerative diseases. Professor Winblad received in 2016 a ”Life-Time Achievement Award” by the American organization ‘Alzheimer’s Association’ for his invaluable contribution to Alzheimer research. Professor Winblad has also been awarded the Swedish Brain foundations Jubilee Price. University of Gothenburg and University College London, UK. Professor in Neurochemistry, MD at the Sahlgrenska University hospital and professor at University College London (UCL). 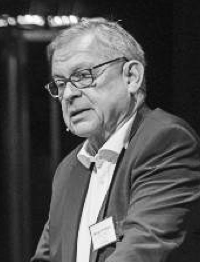 Professor Henrik Zetterberg is also chairman of scientific council of the Swedish Alzheimer foundation and is a leading global authority within the field of biomarkers related to neurodegenerative diseases.